Our “48-Hours of Bachelor Party” series takes us today to Palm Springs, CA. Often called “the golf capital of the world" thanks to its 125+ beautifully manicured and always sunny courses, this desert oasis also offers nature adventures, sweet relaxation, and a fun and stylish vibe harking back to the Rat Pack days. We’ve created a sample itinerary for the guys who want to splurge and one for those that are more value conscious. 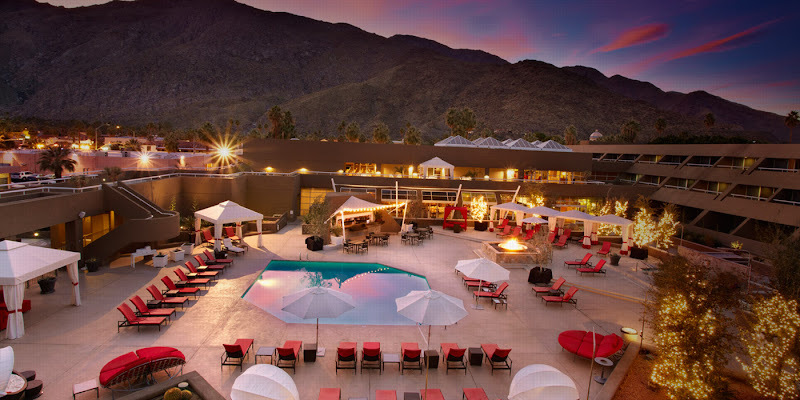 You and your pals are sure to love your bash in Palm Springs -- aka Hollywood’s Playground -- whichever route you choose to go! Check-in to the retro-futuristic Hotel Zoso. Dinner at Copley's on Palm Canyon. Take in the scene and drinks at the many bars along Palm Canyon Drive. The Village Pub and Amigo Room at the Ace Hotel are not to be missed! Tee Time at PGA West - TPC Stadium Course or go for a more rugged adventure at the Joshua Tree Rock Climbing School. Relax by the Zoso pool while catching up on your tan and taking in the hip vibe. Steaks and martinis at LG's Prime Steakhouse’s La Quinta location. Shake off your hangover poolside before heading home. Check-in to the newly redesigned Riviera Palm Springs. Dinner, margaritas and mariachis at Las Casuelas Terraza. Bar hopping along Palm Canyon Drive. Be sure to stop for a pint at The Hair of the Dog and a martini at The Falls. Tee Off at Tahquitz Creek Golf Resort or head out for some fun in the desert dunes with ATVs from Offroad Rentals. Steaks, martinis and jazz at Sullivan's Steakhouse. Feeling lucky? Hit the tables at Spa Resort Casino. Hit the Riviera gym and/or grab a bite with your buddies before heading home.